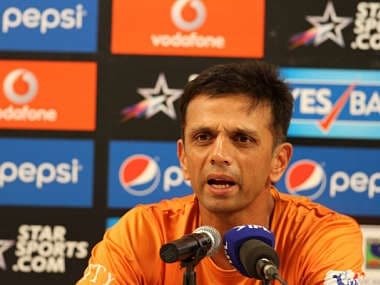 Under-fire batsman Virat Kohli finally came good and the bowlers delivered to help India beat Middlesex by 95 runs in the the 50-over practice game at Lord`s here on Friday. 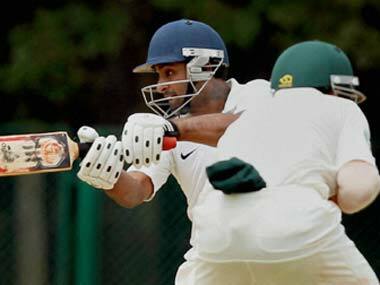 Starting on their overnight score of 165 for three in the four-day game, the visitors slumped from 165 for three to 199 for five before Ojha (110) took charge and put up a 69-run partnership with Ambati Rayudu (40). Mumbai were brilliant but that doesn’t take away from the fact that Rajasthan played poor cricket – both on the field and in the backroom. It might be unfair to the combatants of a match that will be remembered for a long, long time but the recent barrage of fixing revelations and the attitude of the sports' power brokers make the fixing question inevitable. 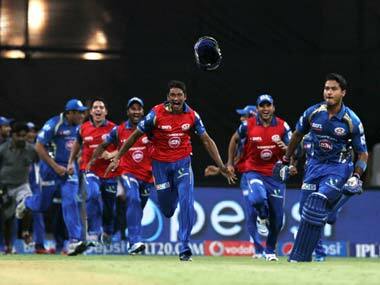 Last night, Wankhede Stadium witnessed unbelievable scenes. Aditya Tare set off in wild soccer-type celebration. He ran and ran and ran and was unstoppable. "To bowl at Warner and Finch that well is not easy. I must credit all the bowlers. Today was a perfect day, Simmons smacked it right from the beginning and Rayudu kept it solid." 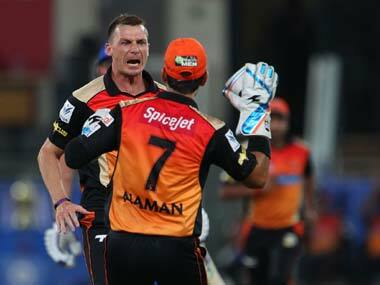 Fifties from Lendl Simmons and Ambati Rayudu helped MI chase down 158 against SRH and keep their hopes alive in IPL 7. Statistical highlights of the IPL match between Mumbai Indians and Chennai Super Kings in Mumbai. Dale Steyn, the world’s best fast bowler, produced a stunning spell of hostile fast bowling that had Mumbai’s batsmen running for cover.